Running is one of the best ways to keep fit, catch up with friends, or even enjoy the outdoors. Running for an hour can burn at least 400 calories or more. It is a form of cardio exercise that can be alternated with other exercise routines or done as the only form of workout. It all depends on your personal preference. Apart from burning calories and keeping your heart healthy, there are numerous other benefits running can bring you. Below we list some of the major reasons why you should take up running. 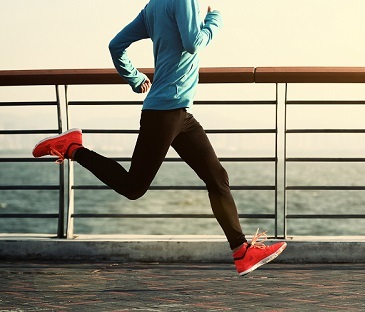 Running is one of the best ways to boost your overall health. According to medical research, you can increase on your good cholesterol levels by running every day. It is also a great way to improve on lung function. You get to boost your immune system and also lower the risk of developing blood clots. If you are looking to lose a few pounds, you should take up running. Actually, running is the second best exercise for burning calories, only second to cross country hiking. When you run, you not only get the chance to develop your six-pack abs, but also strengthen your core muscles. These include the erector spinae, oblique as well as the transverse abdominis. These are the muscles responsible for sucking in the gut, giving the spine stability and making it possible for you to swing your legs and arms. Most people look only at the physical benefits of running. However, this form of exercise is also good for your emotional needs and psychological ones too. When you take up running as an exercise, you will notice positive changes in how you look physically with time. This boosts your self-esteem and confidence, which makes you happier and more determined to push yourself further. One of the telltale signs of being depressed is only wanting to sit in and sleep. If you feel that you are falling into depression, one easy way you can prevent it from worsening is by taking up running. Running allows the brain to secrete hormones that work to improve your moods. This ultimately helps to eliminate the feelings of depression. 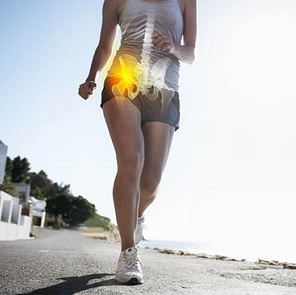 Muscle and bone wasting can occur if you do not exercise. 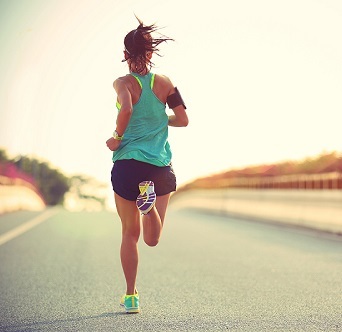 Running is one of the best ways to keep your bones and muscles in tip-top shape. Running works on most bones and all the muscles in the body at the same time. This strengthens your joints and keeps mobility complications at bay. Doctors emphasize on the importance of jogging or running for adults. This is mainly because you create a good environment in your body for growth hormones to develop. Human growth hormones help with cell regeneration and with growth and maintenance of healthy human tissue. High blood pressure or hypertension can be controlled by simply taking up running. When you run, you help the body to control various factors that can cause blood pressure rise. One of the benefits of running is that you will have stronger and better looking legs. Your legs carry your body’s strongest muscles. When you run, you benefit all these important muscles. You get to work on your inner thigh as well as your outer thigh, quads, calves and your hamstrings. With time, you will see the changes in your leg physique. When you start running, you will develop a relationship with other runners. The runners’ community mostly has very supportive individuals. You can join a runners group in your area. These can be great for moral support. Running is a perfect time to spend time alone and get to reflect on your life. When you take a run, you get to refresh your mind. This helps you to focus better on projects and problems. It is recommended to take a running break if you are working on a stressful project. This alone time gives you space to strategize while at the same time work out. For you to be able to run, all you need is your running gear. Unlike most exercises, you do not need special equipment or dedicate time to do it. If you have a tight schedule, you can choose to run to the office or back home after work. This ensures you do your exercise during your tight schedule. Unlike most workouts such as yoga or Zumba, running doesn’t require you to practice a routine. If you can walk, you can definitely run. While you might need to start slow to avoid overwhelming yourself, you only need to up and go. Once you start, your body will pick up the pace slowly. Most exercises will require you to invest in special equipment. One benefit of running is that you do not need to invest in machines to be able to run. If you are working on a budget, simply get your running shoes and exercise gear and you’ll be ready to go. When looking at the benefits of running, you need to learn about the positive effects it has on sleep patterns. When you run, you help the body to adapt to routines. This makes it easy for you to establish a working sleeping routine ensuring you do not get insomnia. This in turn means you have productive days since you manage to get enough rest at night. Running as an exercise has been found to be one of the most effective ways of lowering the risks of breast cancer. Besides, it greatly lowers the risk of stroke and is recommended to patients in the early stages of diabetes as well as osteoporosis. Running helps with the elasticity of the arteries, which greatly reduces the risk of a heart attack. What Is Your Heart Rate While Walking?